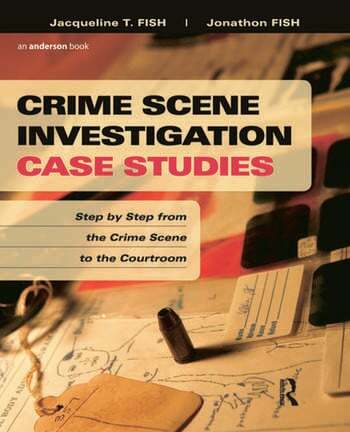 This text offers an innovative approach to learning about crime scene investigation, taking the reader from the first response on the crime scene to documenting crime scene evidence and preparing evidence for courtroom presentation. It includes topics not normally covered in other texts, such as forensic anthropology and pathology, arson and explosives, and the electronic crime scene. Numerous photographs and illustrations complement text material. A chapter-by-chapter fictional narrative also provides the reader with a qualitative dimension of the crime scene experience. Crime Scene Investigation is further enhanced by the contributions of such recognized forensic scholars as William Bass and Arthur Bohannon. Jacqueline T. Fish is the Vice President for Academic Affairs at Charleston Southern University. A former crime scene investigator and Lieutenant in the Knox County, Tennessee, Sherriff's Department, Dr. Fish was also project manager of the National Forensic Academy and worked with the Louisiana State University's National Center for Biomedical Research and Training to develop Advanced Forensics Investigations for Hazardous Environments. Jonathon Fish teaches in the Department of Criminal Justice at The Citadel: The Military University of South Carolina.